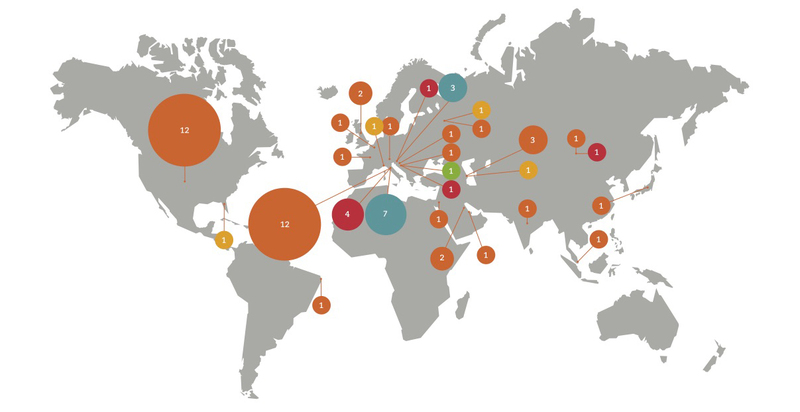 As world wide ambassadors of the Italian know-how, we have built, with our marble stones, symbolic places of culture in all the five continents. We have turned Nature into architecture and design for 110 years; we have crafted it to become beautiful, imaginative and to be a tool for well-being. 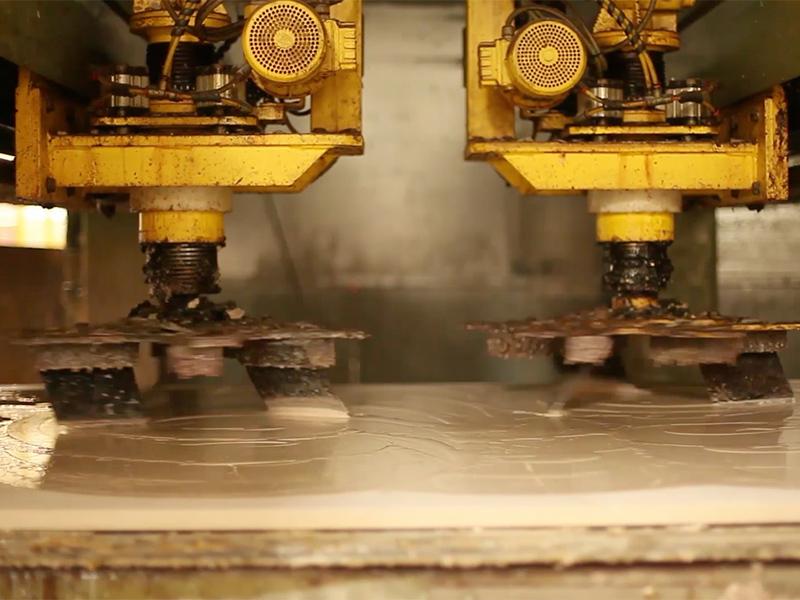 Margraf combines a profound bond with the rough stone and a never-ending research in innovation and technology. We make the past future. 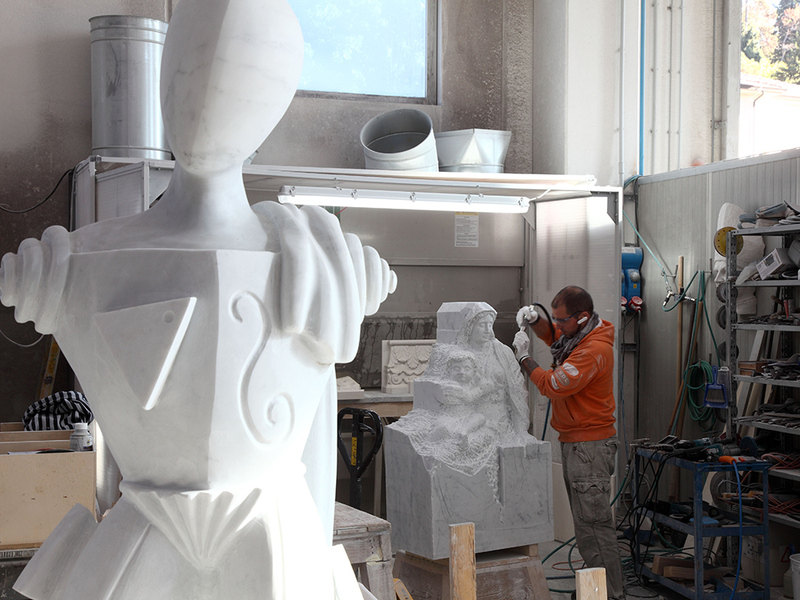 In a constant carving and sculpting, we design with pride and passion the history of tomorrow. 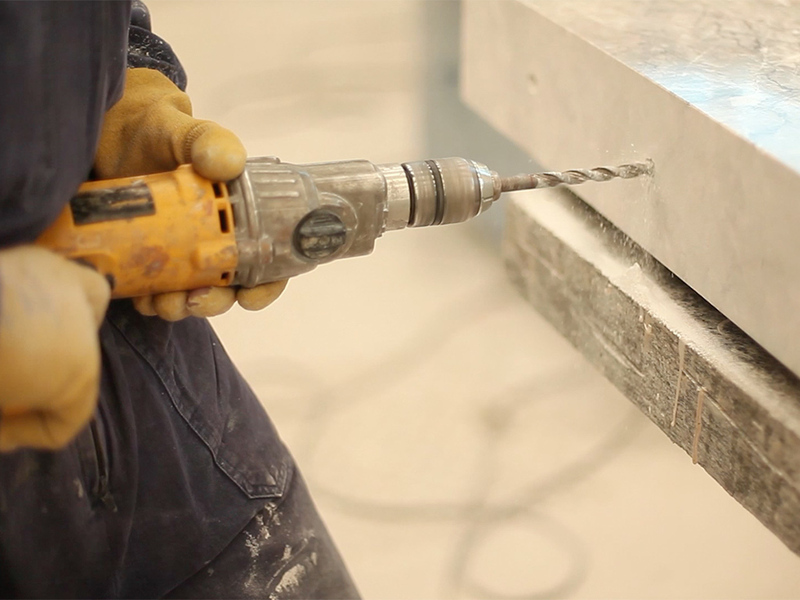 The marble was born before man, becoming during the centuries an everlasting medium to express his art, the art of building and the art of living. This indissoluble relationship is extraordinarily interpreted by Margraf, working marble and stones for over one hundred years, with undiminished passion and growing professionalism. Margraf’s history – former Industria Marmi Vicentini – started in 1906 in the Vicenza province with the initial exploitation of some quarries in Chiampo spreading soon to the Prealpi Venete. 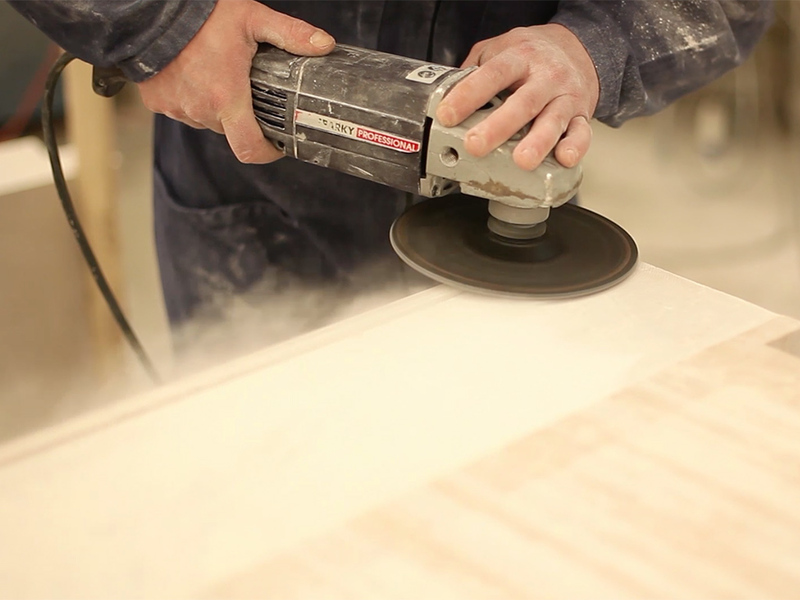 From the beginning, the marble company has remarkably focused on technological innovation and research, especially developing a natural synergy with the architecture and design industry from all over the world. These are the two elements that build the foundations for a constant growing since1935, starting with Gaetano Marzotto’s management, then thanks to the birth of Margraf Spa in the eighties, to arrive to the merger into the Gruppo Linea Marmo in 1999. 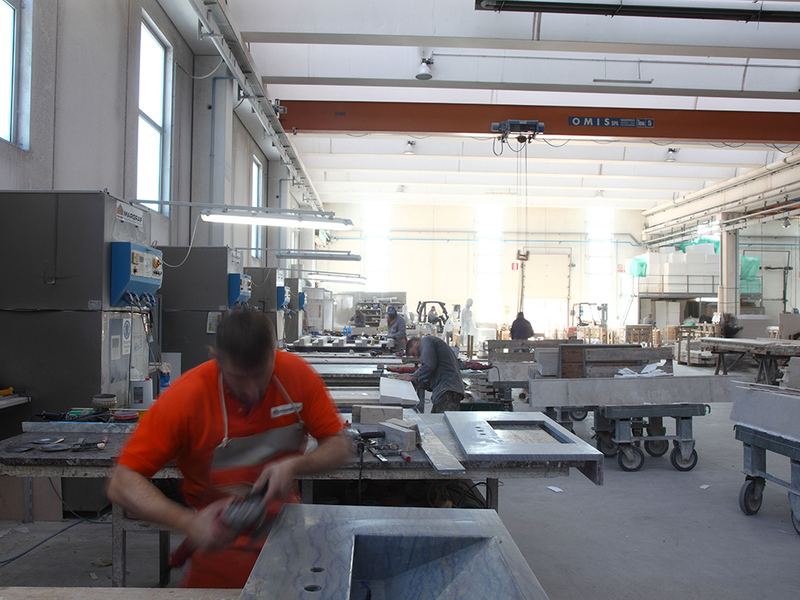 Today Margraf Industria Marmi Vicentini is by right one of the leading companies in locating and processing natural stones coming from all over the world. 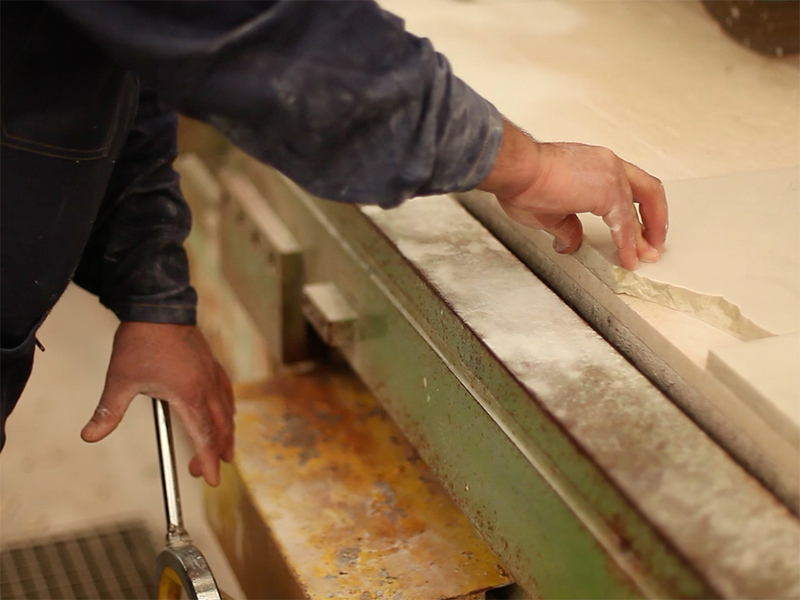 Thanks to a warehouse stocked with two hundred different marble types from all over the world and a mechanized and technologically advanced manufacturing process, Margraf can satisfy every type of need: from the selling of stone blocks and rough marble slab, to the most sophisticated finishing, to arrive to the made to measure process. The architect Flavio Albanese has designed the enlargement of Margraf’s headquarter based on the role that the Company has on the territory: it needed to be an up-to-date structure and a transparent open space. The main focus of the entire building is the hall, a space designed to be fluid in the shape and see-through in the structure: a sort of internal square that opens on the exterior working as link between all the levels, from the basement to the skylight. The hall also is a semi-public area, a place for bonding and meeting. The hall is characterized by an inclined marble wall where portions of rocks arise from the surface to recall a Margraf quarry. In the lobby, an underground garden emerges from the bottom and spreads vertically to the very top. The magnificent staircase, instead, inspired by Ellsworth Kelly’s work, intersects the space recalling one of the American artist’s abstract pieces. Another focus of the headquarter is the showroom: it has been conceived as a sort of gallery featured by a panel that hides and forwards, at the same time, a sequence of marble stones. The entire structure of the headquarter is based on the continuous contraposition of opacity and transparence. The most characteristic example of this effect is the great glass façade: not only it lets the sunlight to irradiate in the entire building, but it also regulates the internal temperature. The different kinds of marble stones, instead, are dominant in all the internal and external spaces. Moreover, the floor, with its intricate decorations, shows Margraf’s creativity and skill. 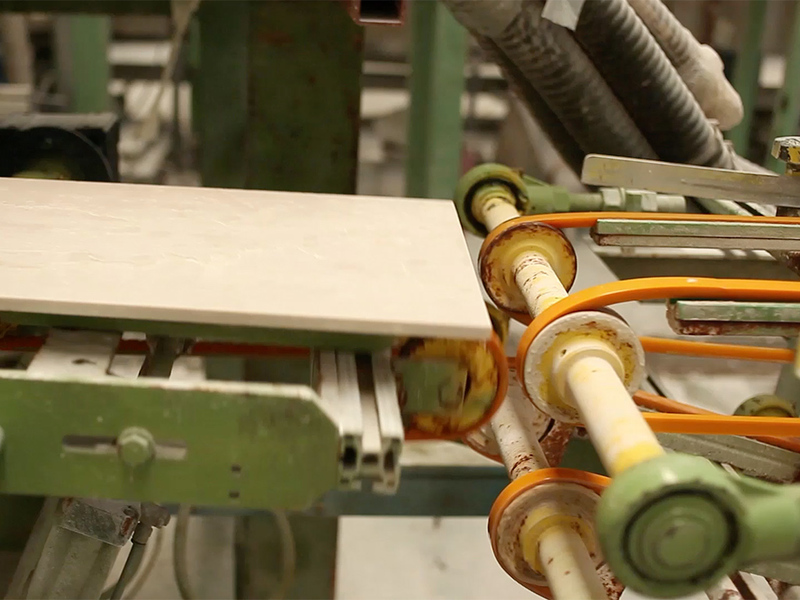 Margraf Industria Marmi Vicentini is divided into two departments: Margraf Tiles and Margraf Project. The first one, which handles the production of modulmarble, while the second one works for the construction industry and processes the different kinds of stones for the different finishings. 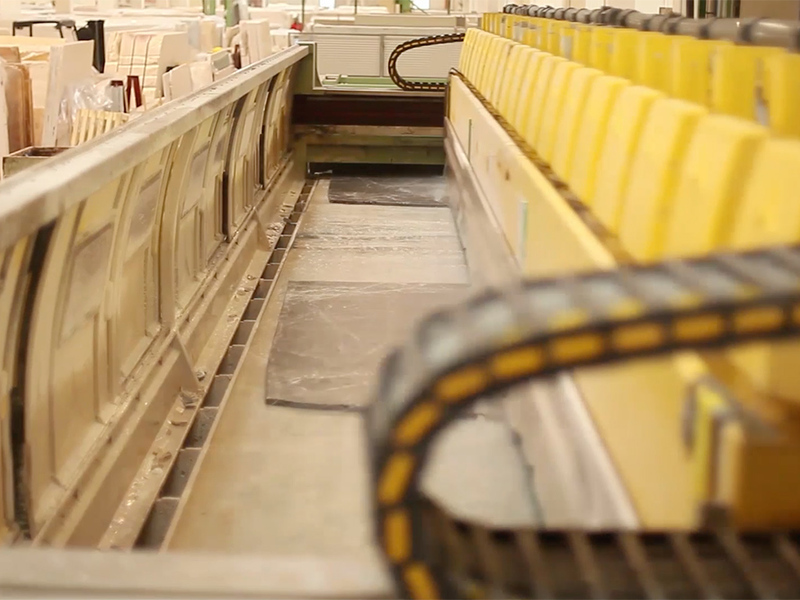 The two departments make a winning team able to rewrite and reinterpret the marble standard production. Especially, thanks to the company crafting skills and its more than 100 years of experience. Margraf has always been involved in reducing its impact on the environment, in order to respect and to protect that same nature that gives to the company the raw material to create its works of art. Margraf so invests in all those interventions capable of reducing all types of environmental damage: from the most technologically advanced equipment to landscape restoration projects, up to a strong investment in energy savings and in renewable resources. 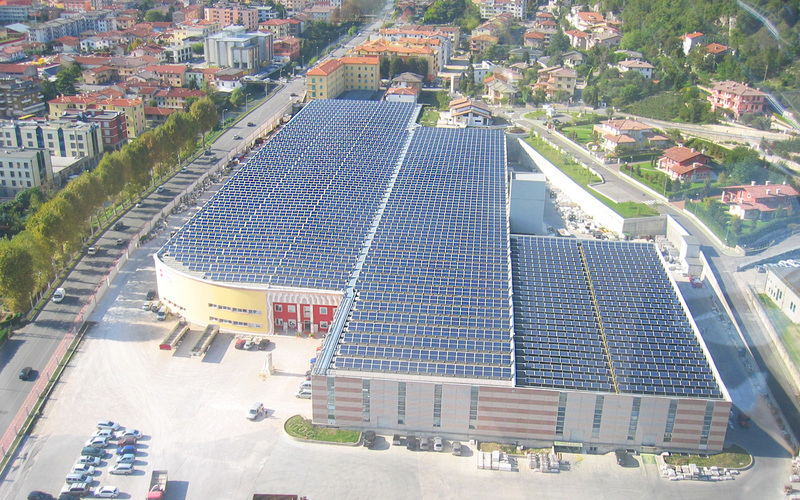 In 2008 the company has installed 4.250 solar panels on the roof that covers the entire structure. The whole photovoltaic system provides the 35% (1.150.000 kilowatt per hour) of the energy amount that Margraf needs every year. 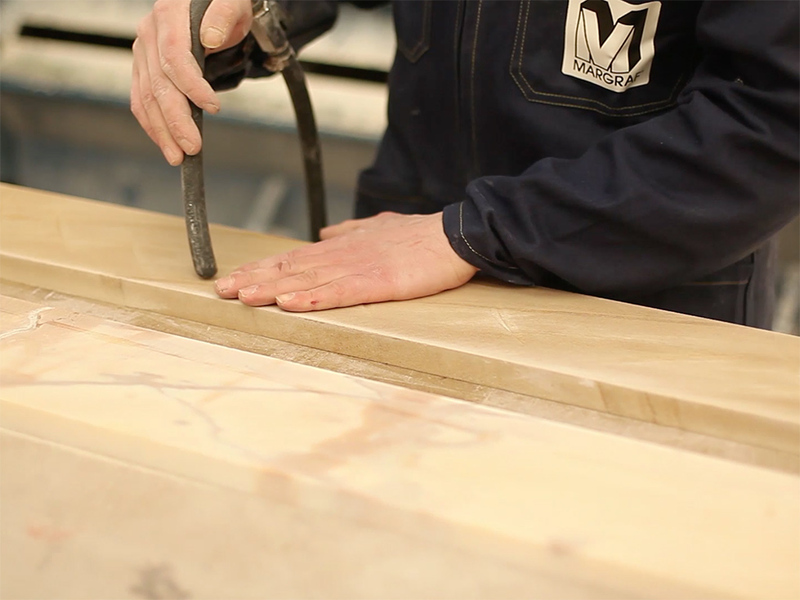 Past and present perfectly merge together in Margraf: this leading company, since always source of pride of the real made in Italy in the world, is projected with force and enthusiasm towards the future. 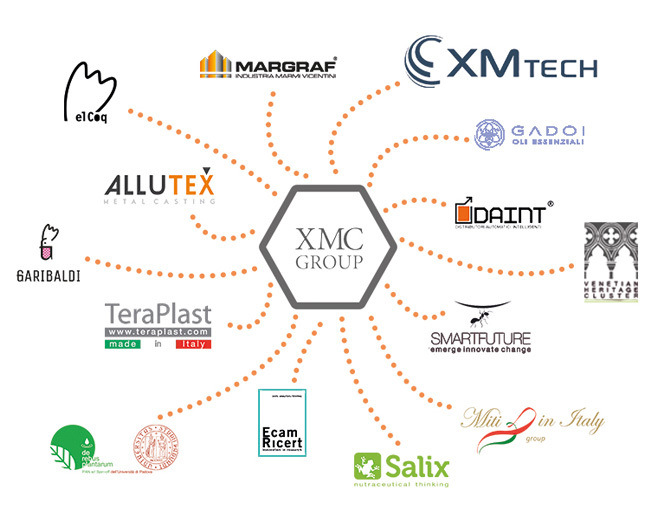 Margraf is part of the XMC Group, a network of companies that are active in different sectors but united by a common industrial philosophy and a strong team spirit. XMC Group companies believe in the power of collaboration as an engine of business and solidarity as a driving force for life. 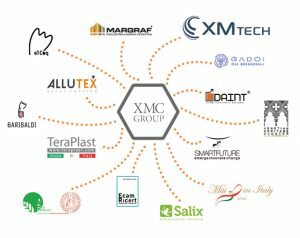 The companies that are part of XMC Group are: Margraf, Salix, Teraplast, Tera, XM-Tech, Daint, EcamRicert and Smart Future.